Seven in 10 car buyers would be likely or very likely to choose a petrol car, compared to four in 10 for diesel, according to a new consumer survey by What Car? 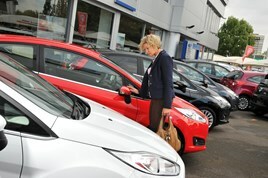 The consumer magazine’s Intelligence survey is based on the opinions of 959 motorists gathered online in May. The report shows consumers rated engine performance and good fuel consumption as the two most important factors for car buyers. What Car? said the shift from diesel to petrol is more about running costs than concerns about the environment, following the diesel emissions scandal last year. In recent years, diesel car sales have matched or exceeded petrol sales; in 2014 and 2015, diesel models represented 50.1% and 48.5% market share respectively. More than 84% of car buyers surveyed are also worried about possible legislation changes that may affect the cost of ownership of diesel cars in the future, such as the retail price, fuel duty and vehicle road tax. The research also shows hybrids and electric cars are even less tempting for prospective car buyers, with between 12% and 32% of buyers considering diesel or petrol hybrid vehicles; more than 48% of buyers would be very unlikely to consider an electric car, backing up the fact buyers are less concerned about being green. Huntingford said that if buyers fear a diesel crackdown and petrol engines are cheaper to buy while being almost as efficient “it’s easy to understand the changes taking place”.